We develop and produce articles with the claim of sustainable action throughout the entire value chain. In doing so, we take responsibility in our actions and carefully examine the impact on people and the environment. All production materials are selected according to our criteria grid, so that only components are used that correspond to our expectations regarding this responsibility. We produce stylish, sustainable bags and backpacks for everyday use. For all MARGELISCH bags and backpacks equipped with a cotton lining, we use GOTS certified cotton. (GOTS - global organic textile standard | organic farming and fairTrade production). If you choose a product from MARGELISCH, you support farmers who cultivate their soil biologically and environmentally. Organic cotton is grown without chemical pesticides, chemical fertilizers and genetically modified plants. Conventional cotton production, on the other hand, is chemically intensive and can negatively affect both humans and the environment in the growing areas. The switch to organic cotton therefore has a positive effect on the environment and the people in the cotton fields. In the collections city-cowgirls, little boys and rough purist we use vegetable-tanned buffalo leather. In the collection stories hunters we use vegetable-tanned cowhide (oily washed) of the highest quality. The vegetable tanning uses natural tannins from bark and leaves, makes the leather firmer and makes it age beautifully. Full grain leather uses the top layer of skins containing the strongest fibers. The leather is aniline dyed, which means that no pigment is used to hide natural defects in the leather. Our leather is a natural product, with some scratches and imperfections visible. These natural variations are not faults or defects, but rather proof to the character of the products. The leather ages naturally over time and gets its natural patina, which additionally supports our design language. With the production of MARGELISCH we assure that the employees are fairly compensated for the work they do. Fair production thus includes adequate compensation for staff, a negotiated price that covers production costs and provides long-term income. It also includes long-term production guarantees. There are jobs for women and men in production. We assure that no children are involved in the production process. 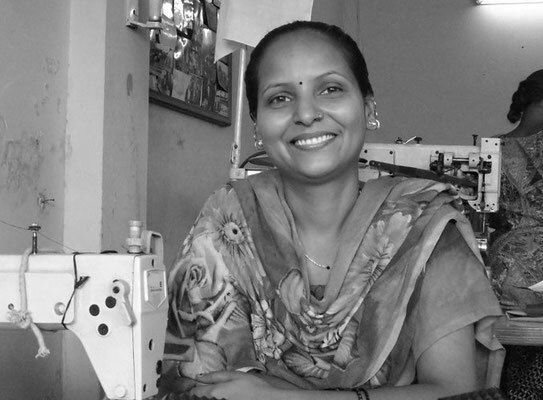 We promote economic stability in the manufactory in Kalkuta (India) by pre-financing 65% of the production costs. This safety of the producer accordingly provides the wage security of the employees. We take full responsibility for the production orders by financing 100% of the production before shipping the goods. MARGELISCH's production place is run by two brothers with 70 employees. Every year, our designer Reinhard Margelisch takes 5-6 weeks to develop collection patterns and implement work processes at the production place. Accordingly, we are able to influence ourselves and directly on production standards, in the sense of our criteria. The last SEDEX social audit in production took place in july 2017. Wages, social security, job satisfaction, organization, hygiene, working hours, satisfaction with the management and complaint options. We are in possession of the full audit and always strive to incorporate possible optimization possibilities in our production. SEDEX determines whether standards defined at the production site are met and the impact on the environment is minimized. SEDEX works with buyers and suppliers around the world to improve responsible and ethical business practices in global supply chains. SEDEX's mission is to drive collaboration, increase transparency, and build the capacity needed to raise standards across all stages of the supply chain. SEDEX has more than 30,000 members worldwide and provides the world's largest collaboration platform for managing and sharing ethical supply chain data. They also provide state-of-the-art services that companies use to understand, monitor, manage and improve supply chain risk. Because all of our products are hand crafted, we consider this as a crucial aspect of our product authenticity. Over the years, we have found that this claim also corresponds to that of our customers. In times when the whole world is talking about digitization, we try to preserve the proven in our production methods. All our production raw materials are cut by hand. This way of working allows us to reuse small amounts of leather or canvas sections in the production of pocket details. Automated production would make this impossible. As we strive to create jobs in the production and not to rationalize away, we will continue to use digitally controlled sewing machines in the future. By preserving such processes, we protect jobs and promote the arts and crafts - so our products will remain authentic in the future as well. From people to people. Our products reach the EU by sea in container ships from India. For the shipment of our products to corporate customers as well as end users, we only use cardboard boxes, which we reuse. These boxes originate from the deliveries of our production. On the other hand, we have agreements with companies that have large quantities of used boxes. All our shipping packages are labeled 'hello, I am a recycled box'.